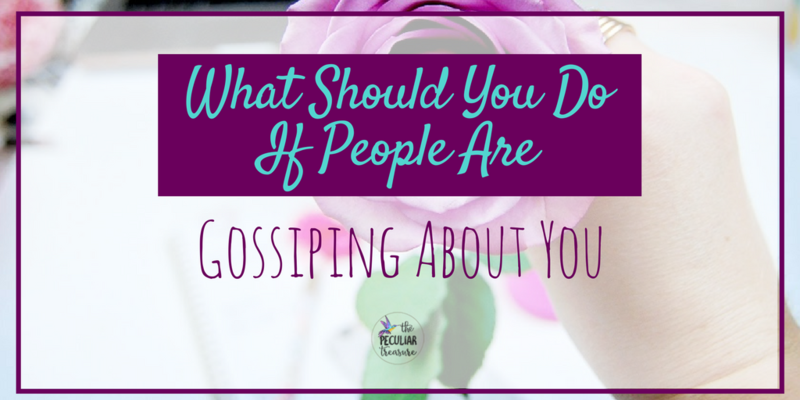 The Peculiar Treasure: What Should You Do When People Are Gossiping About You? What Should You Do When People Are Gossiping About You? I recently took a little poll on Facebook asking people what they have been struggling with in life that they would like some encouragement about. One of the answers I received was how to deal with people who are gossiping about you. And this stood out to me as a great topic to write on since at some point in life, we've all been gossiped about. Thankfully, not all rumors are huge or life-altering. They are still hurtful and are still hard to overcome, but I am glad that many rumors are "smaller". Unfortunately though, not everyone escapes quite so unscathed. When I was in 8th grade, my basketball coach was like a second dad to me. I confided in him often, and he treated me like a daughter. But there were some people on the team who he didn't treat quite as well, and it was clear that I was "the favorite". I couldn't really do anything to change that since I wasn't the one making it that way (and I was a self-conscious 8th grader, for Pete's sake! ), but I did feel a little bad that the other girls had to deal with that. And unfortunately, some of the girls on the team were more upset about it than I realized and started spreading rumors that I was romantically involved with the coach! I was so hurt. So angry. Not only would I NEVER do anything like that, but I was also dating the coach's son at the time, which made it doubly embarrassing. I didn't know what to do. That piece of gossip had torn me apart and to this day makes me cringe. Thankfully, no one really believed that rumor. My school-mates knew me better than that. But nevertheless, that rumor was still started and still caused me a lot of hurt and embarrassment. It would have been easy for me to start throwing punches- both verbally and physically. It would have been easy for me to plot against them, retaliate, or start rumors about them too. But that's not how anyone should handle gossip. There's a better way- a way that we would be wise to learn sooner, rather than later, because people are always going to gossip. It's just a fact. It's hard for me to make this first point, honestly, because I just so happen to be the world's worst at "shaking it off". I worry about people's perception of me far too often, and I hold onto hurtful things for far too long. But when we get right down to it, one thing that we have to do with gossip is let it go. We absolutely have to let it roll off of our back's and move on; if we don't, we will live in constant turmoil, fretting about the lies people have spread and the hurt people have caused. It's not worth it. We have to let it go. We may even have to accept that some people will never believe our side of the story. Some people will always believe lies about us. We still have to shake it off. Seeing your own heart can be a good thing or a really scary thing depending on the day, your circumstances, and the particular situation you're in. On the one hand, the people talking badly about you don't know your heart. If your heart is pure and so are your motives, then be confident that what they say about you isn't true and that if they could see your heart they would realize that they shouldn't be saying those things. And even if the gossipers never realize that, at least we know the truth and can rest easy. On the other hand, sometimes our hearts and motives are not pure at all. Sometimes, we know deep-down, that what those people are saying about us is true. In those moments, we have to take responsibility for our own actions, thoughts, and motives. We have decide to get our act together and make some changes. Then, the people gossiping about us won't have anything to talk about and we will be able to say once more that we have a clear conscience. One thing I've realized lately is that not everyone thinks you should forgive quickly. Some people, even Christians, believe that you shouldn't forgive someone until they have asked for forgiveness. Well, I don't agree with that and I never have. But, I did make sure to think through it when a friend of mine brought it up. I didn't want to just blow them off and discount their ideas. But after thinking about it, bringing up different scriptures, and talking through it with other believers, I still whole-heartedly believe that we should forgive people whether they ask for our forgiveness or not. But why is that important here, you ask? Well, because the people that are gossiping about you may never apologize. They may not realize that they've done anything hurtful, or they may just not care. But holding on to anger isn't doing you any good, my friend. It will cause you a lot more harm to stay mad than it will to forgive. Plus, an unwillingness to forgive isn't exactly the best witness in the world, ya know? Personally, I think it's best to talk things through whenever you can. So, if the person who has been spreading rumors about you is approachable enough that you could kindly mention the hurt they've caused, then I recommend you do that. However, it's important to be able to read the situation. 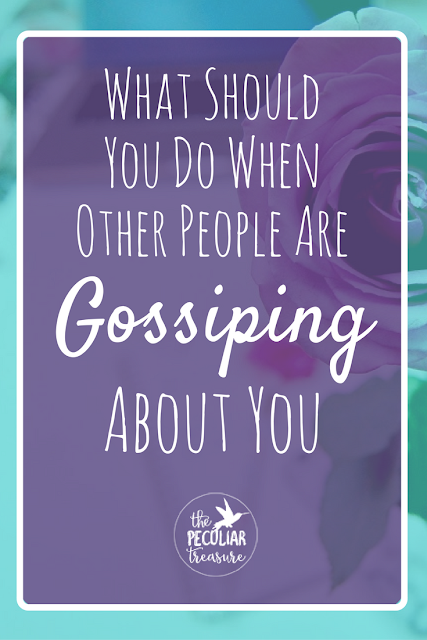 If you know that the one gossiping is malicious and uncaring, approaching that person probably won't do any good. So if that's the situation, go back to step one- shake it off and move on. Dealing with gossip is not a formula. Each situation has it's own distinct problems and I am not going to pretend to know exactly what you are going through. BUT, what I do know is that oftentimes, the steps I outlined above are a good approach to handling gossip with godliness, kindness, and grace. The gossips may not learn their lesson, and there may be some who never know the truth about the situation, but you can only control yourself. You are only responsible for how you handle the situation. And for your part, I highly recommend shaking it off, looking at your heart, learning to forgive, and trying to talk it out. I hope this has helped you, friends. Are you going through anything like this at the moment (or have you in the past)? What have you found helpful to get through it? Comment below! Words can sure hurt. Great advice here, thank you! When I hear I've been gossiped about I'm hurt at first but then remember the times I've done it and try to forgive. I also try to remember that sometimes people gossip to fill silence and that it's not necessarily against me personally. That is an excellent point, Sarah! Thank you for adding that because you are so right! Wow what a hard rumor to deal with, especially at 8th grade! Thanks for these points. I would say looking into my own heart is the most challenging for me. I don't really like to see where i am flawed and would rather just have a reason to be angry and defensive. Girl, I am with you there! I HATE looking into my heard. It's often not the most beautiful place! This is something that I see my students struggle with often. This is helpful advice that I try to share with them often. Obviously, when you're young, the words sting so much and you don't always have the coping mechanism or strategies to deal with it. Sometimes, I wish I could rewind time and relive my teenage years with the knowledge I have as an adult. Yes to that! There are so many things I look back on and wish I could scream to my teenage self "IT DOESN'T MATTER!!!!". But it's all just part of life. One of the hardest things to do is to forgive someone who has gossiped about you. Remember it takes two. Find yourself starting to gossip or on the receiving end don't be afraid to put a halt to it. I'm with you on the forgiveness! Whether it's asked for or not, I usually will give it anyway. Also, I usually feel better after any situation is approached, whether it be about gossip or not! A weight off the shoulders! Absolutely! I would much rather talk about things than wonder. The conversation may be tough, but worrying and wondering is worse. This is such a great topic to talk about. I have to be careful on social media that when I bring up something I've seen it's not out of a gossiping mood! One quote that has stuck with me for most of my adult life has helped me: "Whoever gossips to you will be a gossip of you." It's helped keep me in check! Yes! I try to remember that myself! I am not always good about that, but in these situations, I definitely think of that and it's an awesome reminder! Gosh, so much good advice here... thank you! So glad it encouraged you! It's like you read my heart. My heart so needed this today. I am currently dealing with some not so good stuff and really needed some encouragement. When I have been hurt by someone I tell myself, "Hurting people hurt others." That statement has never not been true for me. I have had a lot of people gossip about me and treat me poorly, my dad was headmaster of every school I went to growing up, and I got really good at ignoring it. I have never been good at forgiving. I am very big on justification and that does not mesh well with forgiving others, especially when they don't ask for it. I do believe though that forgiveness has to be a part of it. It can turn a person bitter if they do not let go and forgive. This is such a great post! 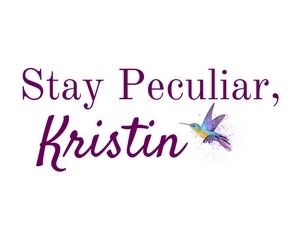 Thank you so much for publishing this! I'm so sorry you are going through tough stuff right now :( That stinks and I wish you weren't. 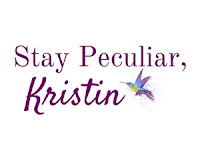 I hope it gets better soon and I am so glad this post encouraged you. And I totally know what you mean about forgiveness being a challenge. But in the Lord's prayer (and other places), Jesus was very clear that since we have received God's grace, we MUST forgive others too. No easy task, but God can give us the help we need. Love you, friend! Oh my goodness. In school people can be so mean, I kind of kept to myself throughout school years. I sort of still do, haha. I worked at a place where there are two girls still there and all they do is sit around and gossip trying to figure out how to make peoples lives miserable. It is so sad that they feel like they have to be like that because they are jealous. Just let it roll off your back, that is what I do anyway. I agree! Letting it roll off our backs can be difficult, but it really is necessary! I've always felt that age old saying of "sticks and stones may break my bones but words will never hurt me" is SO far from the truth. It's hard to keep focused on the truth of who you know you are (or are not) and particularly hard to talk about the rumors with someone who's already unreasonable but I agree you gotta try whenever possible to set things right! Oh my gosh, yes! I don't know who came up with that, but it is so untrue. Gossip unfortunately is one of those things that spreads like wildfire and if we're not careful we can easily get caught up in it. I definitely support your tip on learning to forgive others and to just be honest with them and communicate. Sometimes a simple reminder to someone that their words hurt is enough to get them to stop gossiping. Great post! Thank you, Cara! Yes, communication can be a lot more simple and beneficial than we make it out to be sometimes! I've lived in a few small towns (I still do), and it is my biggest fear that there will be gossip about me. It's only natural for small communities. I lived in one where even my work colleagues gossiped about me. I think looking into your hear is very important - learn to know 'your' truth and remember that! Great tips, I hope no one has to go through it, but it is handy incase! This is great advice! I will admit that forgiving someone is not easy but in the end it makes things so much better! I was always one to approach any gossip head on. This is such sound advice. Gossiping can do such major damage to others. Today I think it's even worse with all the social media involved. I love the point you made concerning forgiveness, I totally agree! Gossip is something that really upsets me! Growing up, I didn't understand that it was wrong, so as a young adult, I had a slow learning time of figuring out that gossip does not help anyone! I think it has gotten even worse with social media! Approach the Gossip!!! YES! There was one situation in my life that I really wish i had just done that from the start. I swore that i would never let rumours fester again and that it's so much easier to just ask the person directly what's going on. Of course I know that now in my 30s but when i was in high school forget it. This is great advice, thanks for sharing it. This is great advice. Words can be really awful, and it's good to know what to do when it happens!